What is Spiritual? : May the MOST humble win!!! The picture to the right is the posture for a humble heart in Hula. The topic of humility as virtue can be an oxymoron in itself. This might be illustrated by the following story. 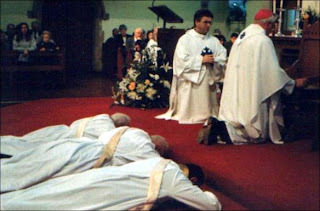 A priest goes before the altar and prostrates himself before it and says, "I am nothing before you God." A rich man comes in after him, prostrates himself before the altar and says, "I am nothing before you God." 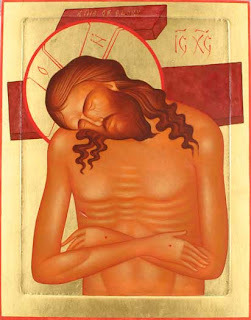 A beggar comes off the street and prostrates himself before the altar and says, "I am nothing before you God." The rich man then whispers to the priest, "Look who thinks HE'S nothing." There is another saying that might be helpful in understanding humility. Humility is not thinking low of oneself, its not thinking of oneself at all. Sometimes there is a sense that we build hierarchies of humility. To help in this endeavor the Christian Righteousness Advanced Performance Company has developed the following Humility Seminar program. May the Most Humble Win. We understand the need to develop a humble nature within the Christian church and we have provided a seminar to help you do that very thing. We want to help you humbly inherit the earth and all the wonderful prosperity that comes with that. Humble is as humble does. These and many others will be offered in our 4 day seminar. To guarantee that one inherits the earth, one needs to know how to rate high on the humble scale. So, we have developed a humble assessment test that you will take before and after our seminar. We have a ratio that we call the decihum or dh. Each question in our Humble Assessment Measure or HAM has an equivalent decihum value, making this the most accurate humble assessment tool available. We have documented an average increase of 66 decihums on our HAM scale after taking our seminar. a. "Thank you I picked them out myself." b. "The Lord has blessed me with good taste." c. "I guess I got lucky." d. "I would not have known how to dress this way unless I read my Bible every day. I must give all the credit to God." a. "It's a toss up between my brilliant mind, my good looks, and my great athletic ability." b. "I don't have a best trait." c. "My Bible is my best trait." d. by pointing to the sky with one finger. a. "No, I have never had a proud moment in my life." c. "Only when I win. So I try to be a loser"
d. by silently pointing to the sky with one finger while closing your eyes. a. get a smaller brightly colored Bible. b. answer, "Yes, this Bible is my sword and I plan to use it." c. answer, "Yes this was the most expensive Bible I could find." d. point to the sky with one finger while closing your eyes and bowing your head. a. "I want a gold plate on the church with my name on it." b. "I'm just returning almost all I own to the Lord." c. "Oh, this little ol' check." d. by pointing to the sky with one finger, dropping to one knee, bowing your head, closing your eyes and saying quickly, "Thank you very much." 0 - 50 You really need to work on your humility. This seminar would be the perfect thing for you. Did we mention you get a certificate? 50 - 100 This is a little better. This seminar would still be perfect for you. 100 - 200 This is an average score, but if you wanted to become a truly exceptional humble person this seminar would be just the thing to do it for you. 200 - 300 This is an above average score. Subtract 100 points if you told someone your score. You know you have told, or are going to tell, someone. So, this seminar is exactly what you need. 300 - 400 Now your just bragging and overestimating your humility. You really need this seminar. We are very careful to publish only the lowest scores allowing those of advanced humility to maintain their anonymous humble status. We allow you to retake our seminar at double the price so that those of true humility can maintain their humble means. We have a very unique certificate system based on our Humble Assessment Measure (HAM) that many church leaders have found useful. If you go through our seminar you receive a certificate that verifies you are a truly humble person. We certainly don't want non-certified HAMs leading out up front. If you would like to take your Christian humble experience to the next level, then this seminar is exactly what you are looking for. So, maybe humility isn't a virtue. Maybe it's seeing ourselves and the world around us in a way that gives us a clear perspective, so we can avoid living a life of comparisons and live in grace. There is only one who is truly humble. The rest of us struggle at humility but our ultimate example is Jesus Christ. Jesus the creator of the universe was willing to come down and lay his life down for us. Those who despise Him, He was willing to serve the creation. There is no more humbleness then that. However, we don't get to call Him friend unless we are willing to follow Him and His commandments. 6 By this we know love, because He laid down His life for us. And we also ought to lay down our lives for the brethren. For us to be truly humble is to deny ourselves and serve others. We should empty ourselves and be filled with Christ who paid our ultimate debt. He came to save us from our sins if we are willing to repent and turn from them and follow Him. Galatians 2:20 For I have been crucified by Christ, yet I live. No longer I but Christ who lives in me and the life that I now live in the flesh I live by faith in the Son of God who loved me and gave Himself for me.